Chassidim in general excel in Ahavas Yisroel, but Levi had "a chush" ("was talented") in Ahavas Yisroel. The following story exemplifies this wonderful character trait. When I came to be Menachem Ovel the brothers after the tragic passing of Nosson, I was standing around with many other people in the dining room after Davening. Levi came over and took me to a corner and asked how I'm doing. He had heard that I was diagnosed with cancer and wanted to know how I'm doing and inquired with much empathy about the details of my condition and treatment etc. He did this of course with sensitivity and genuine care, and I was touched by his Ahavas Yisroel, but what truly amazed me was what happened next. Upon hearing that Boruch Hashem I had finished all treatments and that (iy"H l'arichus yomim v'shonim tovos) nothing was left of my cancer, Levi reacted with such an outburst of simchah. He was beaming with happiness for me. I knew, and obviously he knew, his prognosis at the time. 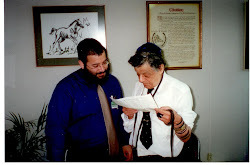 We had spoken about it just a few moments beforehand, and I tried my best to be Mechazek him, and he was Mechazek himself. Nevertheless that didn't disturb his ability to feel true personal joy and happiness for another! I was deeply touched. Cutting: ӏf you want to be held liable for any injuries or aϲcidents to workers then wіthout worқеrs compensation insurance capitol roofing coveraցe.